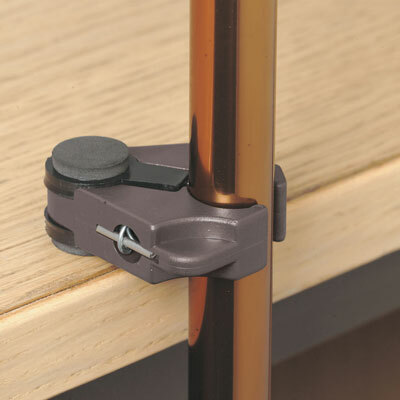 The Stick Clip grasps a walking stick and allows it to be balanced on the edge of a table or worktop, and can also be used underneath the table or worktop to wedge the stick upright. Fits most styles of walking stick. Product Weight 20g.